This book will be useful for those in the scientific community who gather data and seek tools for analyzing and interpreting data. It will be a valuable reference for scientists in a variety of disciplines and can serve as a textbook for a graduate course in exploratory data analysis. A book on a topic that has witnessed a surge of interest over the last decade, owing in part to several novel applications in data compression and computational molecular biology. 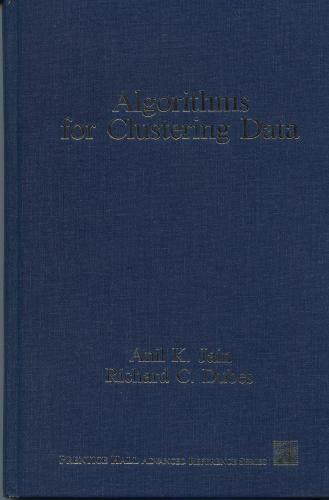 It describes methods employed in average case analysis of algorithms. by Herbert S. Wilf - AK Peters, Ltd.
An introductory textbook on the design and analysis of algorithms. Recursive algorithms are illustrated by Quicksort, FFT, and fast matrix multiplications. Algorithms in number theory are discussed with some applications to public key encryption. In these lecture notes, we attempt to explain the connection between the expected time of various bucket algorithms and the distribution of the data. The results are illustrated on standard searching, sorting and selection problems.